How to write a business plan that won't gather dust? I was talking recently during a Start Your Own Business programme about the value of business planning for startup businesses. It was interesting that the majority of participants wanted to write a business plan for themselves with only a minority requiring one for a bank or to apply for a grant. This blogpost will focus on writing your business plan so that it proves valuable to you during your first year in business – we don’t want it to just gather dust, that is never be read again. In essence, your business plan should concisely detail what your business is about, who your customers are, and why they buy from you. It will also set out how you plan to grow the business. You should write your business plan with the objective of copying and pasting the words, descriptions, images and graphs into other communications during your first year. You can refer to your business plan to explain to suppliers such as website and graphic designers and your accountant what your business is about. You can also use it with agents, partners, and your bank manager to set out the vision for your business. Finally, you can also use it for yourself and your team to record ideas for the future and most critically to track the progress of your business. The key value of a business plan is to clarify the purpose of the business. A business plan must clearly outline the products and services offered. It must outline the benefits for customers and identify the target market. In essence, your plan must detail your Unique Value Proposition, why a potential customer should buy from you and not from your competition. Developing a business plan is a perfect opportunity to ask your customers for testimonials. The first task in developing a website to promote your business is to answer how your business will stand out from the competition. This needs to be reflected this in your website content. Most startup businesses will work with a web developer and/or a graphic designer to create a web presence. They will need to fully understand your business to reflect the values of your business. It will be important to have undertaken significant business planning before finalising a web url, business name and creating a logo to represent your business. Many people when reading a business plan for the first time will skip directly to the finances section. This reflects the importance of this section in highlighting the value of a business. The figures for sales, expenditure, capital investment and growth tell a lot about a business. The key is to define your assumptions and to set targets that drive the business forward. Sales targets in particular must be ambitious but achievable. A spreadsheet can be used to build sales projections by month, territory and product line. It is vital to review actual performance against target. But don’t expect everything to work out as planned.The most important element when reviewing targets is to build market knowledge and to learn and change if necessary. Your business plan will detail your business model. Your experiences will validate it. As Winston Churchill said, It is always wise to look ahead, but difficult to look further than you can see. How you measure success in your business can be summarised into key performance indicators (KPIs). In developing a very focused action plan for your business you will invariably generate ideas for your business particularly in the area of promotion that you won’t be able to pursue immediately (perhaps for budgetary reasons). The appendices of the business plan can be used to record these ideas so that they can be revisited at a later date. As the saying goes, planning without action is futile, action without planning is fatal. One key issue in taking action is assigning responsibility. If you have a small team in your startup it is critical that job roles are defined in line with the business strategy. This includes assigning work to your colleagues and/or external parties that can be done better by other people. You can also use the business plan as the starting point in developing specific functional and operational plans for your business to include operations, marketing, sales and finance. A business plan records official business details such as CRO number, incorporation date, names of Directors, VAT registration, accountants, legal advisors, insurance, and Tax Clearance Certificates. These official details are often needed for grant applications, tender submissions and/or bank loan applications. Bridgewater Management has prepared a downloadable Guide to Preparing a Business Plan that discusses the many sections of a Business Plan. Guides and templates should be used to provide structure. They can also be used to identify gaps. They are not intended to place constraints on your thinking. The key is to take your chosen template and tailor it to your situation. The key is to keep things simple. 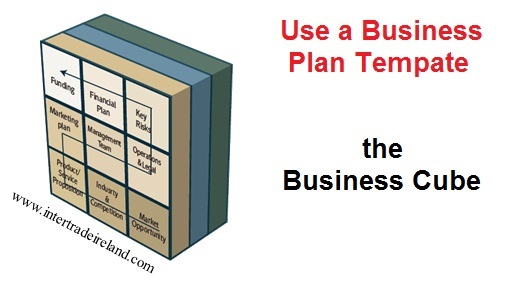 As always a business plan document is the output of a business planning process. I hope that some of the ideas in this post ensure that your plan does not sit on your shelf or hard drive gathering dust.